This book investigates the intersection of terrorism, digital technologies and cyberspace. The evolving field of cyber-terrorism research is dominated by single-perspective, technological, political, or sociological texts. In contrast, Terrorism Online uses a multi-disciplinary framework to provide a broader introduction to debates and developments that have largely been conducted in isolation. Drawing together key academics from a range of disciplinary fields, including Computer Science, Engineering, Social Psychology, International Relations, Law and Politics, the volume focuses on three broad themes: 1) how – and why – do terrorists engage with the Internet, digital technologies and cyberspace? ; 2) what threat do these various activities pose, and to whom? ; 3) how might these activities be prevented, deterred or addressed? 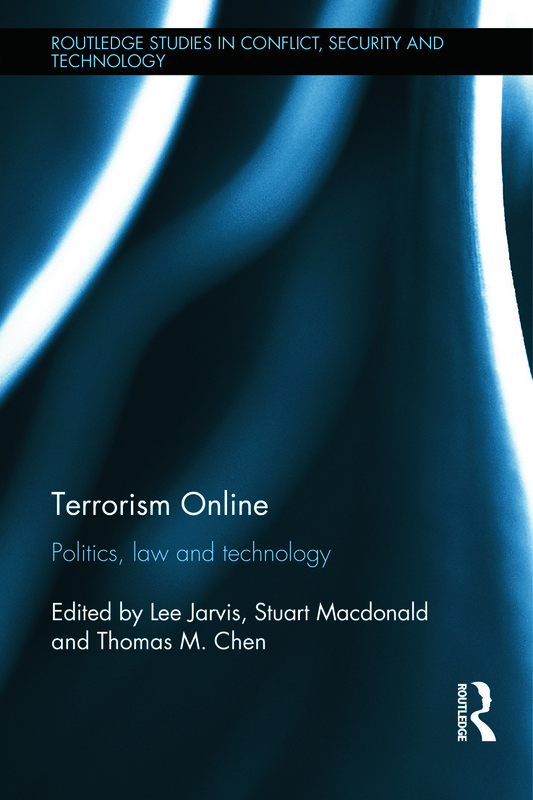 Exploring these themes, the book engages with a range of contemporary case studies and different forms of terrorism: from lone-actor terrorists and protest activities associated with ‘hacktivist’ groups to state-based terrorism. Through the book’s engagement with questions of law, politics, technology and beyond, the volume offers a holistic approach to cyberterrorism which provides a unique and invaluable contribution to this subject matter. This book will be of great interest to students of cybersecurity, security studies, terrorism and International Relations. Lee Jarvis is Senior Lecturer in International Security at the University of East Anglia. He is author of Times of Terror: Discourse, Temporality and the War on Terror (2009), co-author of Terrorism: A Critical Introduction (2011), and co-editor of Cyberterrorism: Understanding, Assessment, and Response (2014) and Counter-Radicalisation: Critical Perspectives (2015). Stuart Macdonald is an Associate Professor at the College of Law, Swansea University and is co-editor of Cyberterrorism: Understanding, Assessment, and Response (2014). Thomas M. Chen is Professor in Cyber Security at City University, London. He is a co-editor of Cyberterrorism: Understanding, Assessment, and Response (2014); Broadband Mobile Multimedia: Techniques and Applications (2008); and Mathematical Foundations for Signal Processing, Communications, and Networking (2011).